Osorno Volcano is one of the most stunning sights in the Lake District, but it's even more beautiful on the ground. 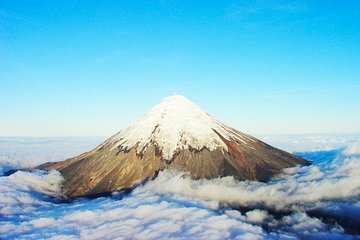 This trekking tour around the base of the volcano and the southern shore of Lake Llanquihue lets you fully admire the beauty of the region. Hike through old-growth forests and past numerous vista points along with a guide, stopping to take in views and visit other attractions along the way.